Electric Springs is not one but three springs side by side flowing from the hillside just at the edge of Rogers along Highway 12 East. 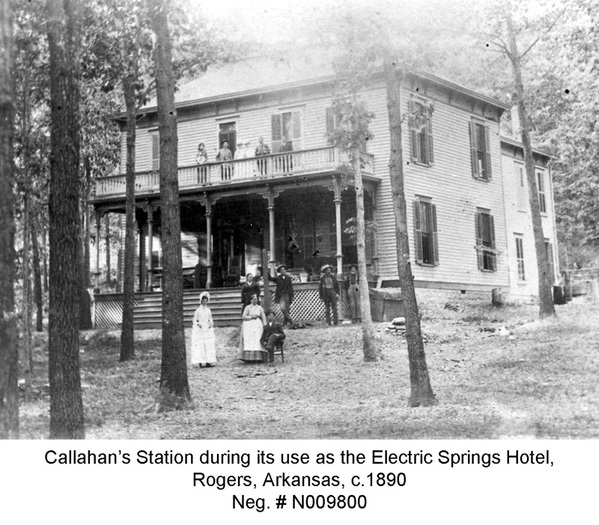 Some of the earliest recorded history reveals that Dennis Callahan chose a site in 1844 by the gushing clear water of Electric Springs to build Callahan’s Station. Stagecoaches and other travelers stopped at Callahan’s for food, water, and rest. Later after 1858, Callahan’s Station was a regular stop for the Butterfield Stagecoach. When the Civil War broke out, the first regiment of local men signed up for the Confederate Army at Callahan’s in 1861. About 1906, the owners of the Electric Springs Hotel made improvements to the Springs by constructing a stone retaining wall and three rock basins to collect the valuable water. This masonry work was performed by local stone mason Fred Taylor and his son-in-law, Albert Creech. In 1880, the Frisco Railroad was looking for a route from Springfield, Missouri to Fort Smith, Arkansas. One of the major factors that this area was chosen was due to the abundant water available from Frisco Spring. 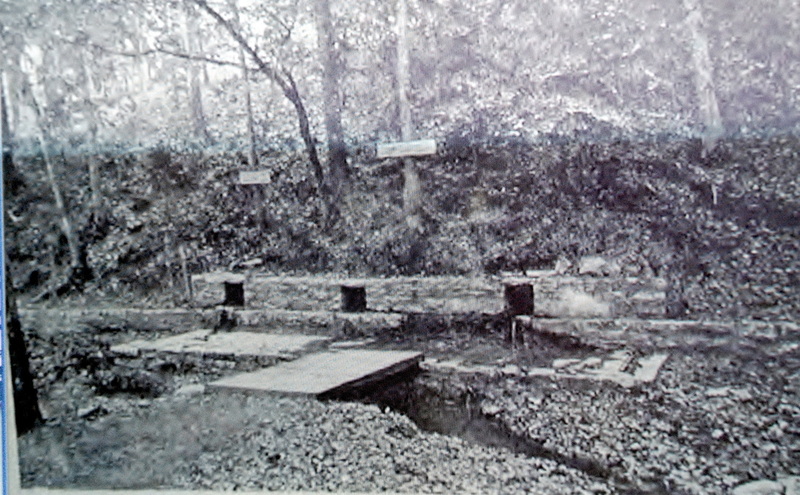 The spring located just down the hill from E. Cherry Street was used to pump water up to the water towers for the locomotives. This spring, also known as Pump Spring, is along the trail from the newly constructed Rail Yard Bike Park to Lake Atalanta. 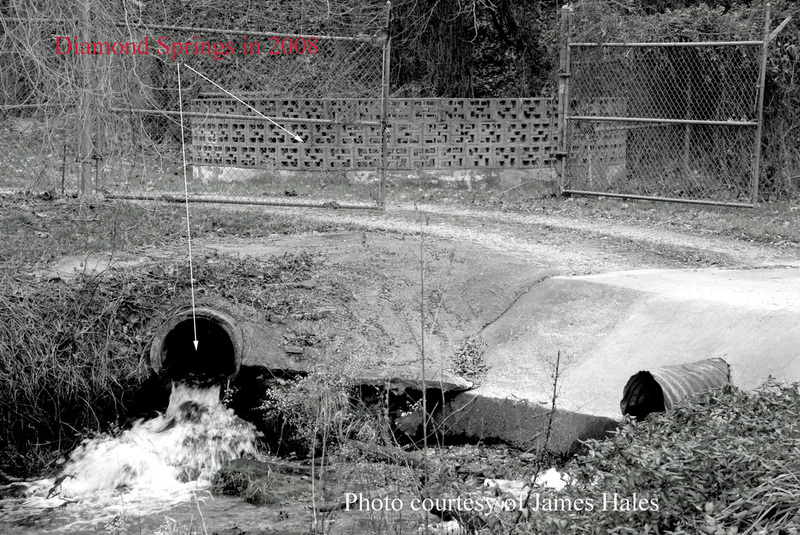 In the late 1800s, there was a large spring just east of Rogers named Diamond Spring. This spring became Rogers’ main water supply as soon as the town was created. Water was pumped into a water tower along Walnut Street about three blocks east of the railroad tracks. The town and the need for more water grew, and in 1938, Prairie Creek, formed by the confluence of Diamond and Frisco Springs, was dammed to create Lake Atalanta. This remained Rogers’ water supply until Beaver Lake was formed in the mid-1960s. 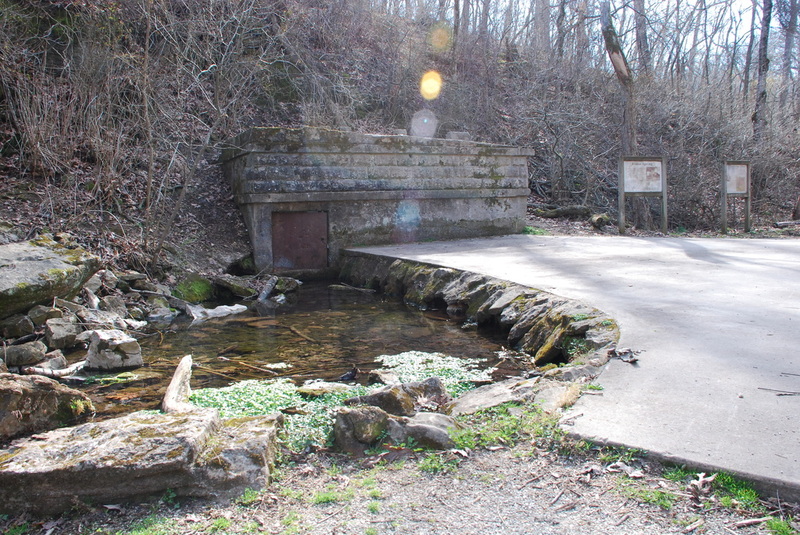 Diamond Spring can be seen today in a round structure just south of Walnut Street at Lake Atalanta. In the late 1800s just southeast of Rogers was a lush valley and thriving community named Silver Springs. The community had a post office, tavern, distillery, and grist mill. A clear creek flowed through the valley fed by several springs including Big Spring, a large spring that produced 10,000 gallons per minute. In 1900, a developer named Coin Harvey bought the valley and built his famous Monte Ne Resort. Later in 1928, Harvey built his huge amphitheater or “Pyramid” around Big Spring. Today, the spring still gushes at Monte Ne, but it is beneath the waters of Beaver Lake. Osage Springs is a large spring in west Rogers beside New Hope Road just before the intersection with I-49 Highway. This spring played an important part in the Civil War, as the area around it was used as a campground in 1862 by Union Soldiers before the battle of Pea Ridge. The camp, named Camp Halleck, stretched from Osage Spring down the valley through the area now occupied by Rogers High School and through Cross Hollows almost to Monte Ne. In recent years, Osage Spring is best known as being the location of Clyde Bloomfield’s Osage Trout Farm and the Tale of the Trout Restaurant. Clyde and his son and daughter-in-law, Bud and Karen Bloomfield, operated the famous restaurant from 1978 until 2001. Today, Osage Spring and Creek is still flowing strongly past The Village on the Creeks and on west into the Illinois River. Rogers has many more Springs that have supplied precious water through the years, but space only allowed the discussion of these few. Maybe someday, a book will be written with much more detail, stories, and pictures. Diamond Springs is in the round structure in the back and the water gushes from the pipe on the left. The pipe on the right is the flow from Frisco Spring. These two flow together south of Walnut Street and feed Lake Atalanta. Frisco Springs about 2010. It is beside the trail that goes from Cherry Street to Lake Atalanta.